Tonight’s episode features a walk through the Mormon History Department. 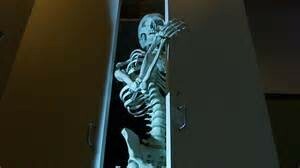 In a corner of the Department is a closet crammed with skeletons. 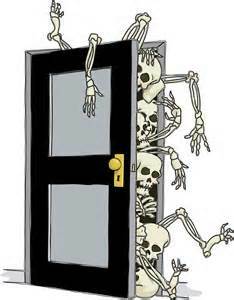 One of the largest and most shiver-inducing of these is the Adam God skeleton. During this program, we will open the closet door and allow this creaky specimen out for a bit to stretch his legs and get some fresh air. But have no fear. We will keep him under close watch during the entirety of these proceedings. He will not be allowed to escape and run free over meadow and lawn, wreaking terror and havoc on unsuspecting testimonies. During the course of his herky-jerky perambulation, we will have the opportunity to take his measure and consider how it is that he got stuck in the closet in the first place. And why it is that hardly a man is now alive who remembers that famous day and year when he bestrode the Mormon world like a Colossus. Did the Adam God Doctrine Ever Really Exist? The answer to this question is an unqualified yes. Though it would be impossible to discover this through the perusal of modern LDS correlated curricula, the Adam God Doctrine was at one time a significant and frequently repeated teaching of Mormonism. Brigham Young first publicly announced the Adam God Doctrine in 1852, and repeated it many times and in many venues for the next 25-years of his life. 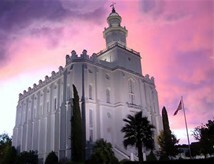 Shortly before he died in 1877, Brigham Young had the Adam God Doctrine incorporated into the temple endowment, where it was described in the Lecture at the Veil at the St. George Temple. It is believed by some to have remained a feature of the LDS temple endowment until around 1904 when it was quietly removed. If so, the Adam God Doctrine was taught in the LDS Church not only by its highest authority, but also in its holiest precincts, for half a century. What is the Adam God Doctrine? Whole books have been written about this subject. But fortunately for us, the Lecture at the Veil of the St. George Temple contains a brief and concise statement of the subject, which will serve our purpose nicely. Adam was an immortal being when he came on this earth; He had lived on an earth similar to ours; he had received the Priesthood and the keys thereof, and had been faithful in all things and gained his resurrection and his exaltation, and was crowned with glory, immortality and eternal lives, and was numbered with the Gods for such he became through his faithfulness, and had begotten all the spirit that was to come to this earth. And Eve our common mother who is the mother of all living bore those spirits in the celestial world. And when this earth was organized by Elohim, Jehovah and Michael, who is Adam our common father, Adam and Eve had the privilege to continue the work of progression, consequently came to this earth and commenced the great work of forming tabernacles for those spirits to dwell in, … Father Adam’s oldest son (Jesus the Saviour) who is the heir of the family, is father Adam’s first begotten in the spirit world, who according to the flesh is the only begotten as it is written. The teaching of the LDS Church in this regard began to take a different tack in the early 20th Century. This different tack would lead to the current version taught throughout the Church, which is presumably familiar to all who read this. For any not in the know, the current version posits Adam as simply one of Heavenly Father’s spirit children, the same as you and I and the rest of us. As can be plainly seen, the current version is quite different from the Adam God Doctrine. Due to this disparity, the LDS Church began taking steps to scrub the record of the fact Brigham Young taught something else entirely. It was presumably thought unwise to have one mouthpiece of the Lord saying something completely different from a later mouthpiece of the Lord—and on a subject as fundamental to the religion as the identity of Heavenly Father. The first step was to quit teaching the Adam God Doctrine. And Church leaders did that. As mentioned above, the problematic Lecture at the Veil was removed from the temple endowment, probably around 1904. But more had to be done. You see, Brigham Young left a massive footprint of documented expressions of this teaching, many of which had already been captured and preserved in the Journal of Discourses. To remedy this, another collection of Brigham Young’s teachings was compiled, this one devoid of any reference to Adam God. John A. Widtsoe was put in charge of this project, which was published in 1925 as the one-volume “Discourses of Brigham Young.” Now Brigham Young’s teachings could be researched topically by Latter-day Saints with no worries they would learn anything disconcerting about Adam. We will return to the “Discourses of Brigham Young” later, but right now I want to fast-forward to the 1970’s when several general authorities saw fit to scout the Adam God Doctrine and denigrate any who talked about it or believed it. Another case is the one of those who talk about the “Adam-God” theory; I guess when they are engrossed with all these different theories, and things in the Church, they don’t have time to study faith and repentance. Maybe they ought to get back to basics. And when they understand everything about faith, then they can move on to the next principle. So anybody who talks about this teaching of the second president of the LDS Church obviously needs to spend more time studying faith and repentance. Presumably because such talk demonstrates a lack of the former and a need for the latter. Notable here is President Kimball’s unwillingness to come right out and say that Brigham Young never taught the Adam God Doctrine (though he does label it as “false”). Instead, the phrase “alleged to have been taught” is used in order to give the implication that such doctrine was never taught by past General Authorities without actually saying so. This is sometimes referred to as having one’s cake and eating it, too. 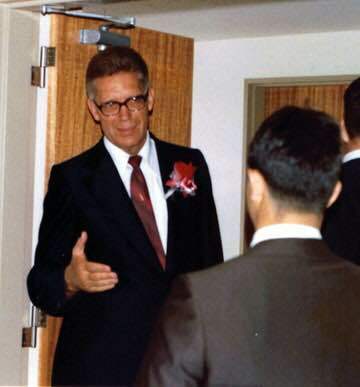 In October General Conference of 1980, Elder Mark E. Peterson got into the act by giving his one-word opinion of the Adam God Doctrine—“Ridiculous!” But at least Elder Peterson did try to engage the argument, if only on a minor point. The thrust of his position was that if Adam is God, and Adam had numerous sons (such as Cain, Abel and Seth), how could Jesus be considered God’s only begotten son? It is somewhat less than a theological tour-de-force. But even so, at no time does Elder Peterson reveal that his argument is more with Brigham Young than with fringe Mormons. If any of you have been confused by false teachers who come among us, if you have been assailed by advocates of erroneous doctrines, counsel with your priesthood leaders. They will not lead you astray, but will direct you into paths of truth and salvation. Here, Elder Peterson indirectly calls Brigham Young a “false teacher” and an “advocate of erroneous doctrines.” Hardly flattering, to say the least. But this type of apostolic defamation of a past prophet was only an echo of what had happened earlier that summer. 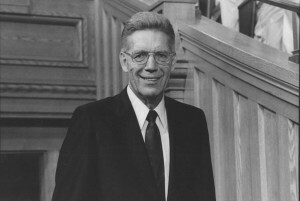 On June 1, 1980, Elder McConkie gave his “Seven Deadly Heresies” speech at BYU. Heresy number six was Adam God. The devil keeps this heresy alive as a means of obtaining converts to cultism. It is contrary to the whole plan of salvation set forth in the scriptures, and anyone who has read the Book of Moses, and anyone who has received the temple endowment, and who yet believes the Adam-God Theory does not deserve to be saved. [ii] Those who are so ensnared reject the living prophet and close their ears to the apostles of their day. “We will follow those who went before,” they say. And having so determined, they soon are ready to enter polygamous relationships that destroy their souls. You talk about teaching false doctrine and being damned. Here is a list of false doctrines that if anyone teaches he will be damned. And there is not one of these that I have ever known to be taught in the Church, but I am giving you the list for a perspective because of what will follow. . . . Teach the Adam-God theory (that does apply in the Church). Teach that we should practice plural marriage today. Now, any of those are doctrines that damn. (Sermons and Writings of Bruce R. McConkie, p. 337). Is Elder McConkie really calling President Brigham Young a heretic? That he does not “deserve to be saved”? That because he taught Adam God, he will be damned? But wait a second, Elder McConkie may not know that Brigham Young actually did teach about Adam God. Maybe ignorance is a defense here. After all, Elder McConkie does say “there is not one of these that I have ever known to be taught in the Church.” Maybe he just didn’t study enough. He was doubtless busy with other things, like Church administration and damning people to hell. Only such is not the case. Elder McConkie did in fact know full well that President Young taught Adam God. Elder McConkie revealed his knowledge in a letter he wrote to BYU Professor Eugene England on February 19, 1981 condemning England for teaching certain things in a church venue. Yes, President Young did teach that Adam was the father of our spirits, and all the related things that the cultists ascribe to him. This, however, is not true. He expressed views that are out of harmony with the gospel. . . . I think you can give me credit for having a knowledge of the quotations from Brigham Young relative to Adam, and of knowing what he taught under the subject that has become known as the Adam God Theory. Well, this is embarrassing. You mean Bruce R. McConkie said all these unflattering things about people who teach and believe Adam God while knowing full well Brigham Young taught and believed it? Apparently so. And perhaps more disconcertingly, it appears Bruce R. McConkie avowed he had never known the Adam God Doctrine to have been taught in the Church in spite of the fact he did know the Adam God Doctrine to have been taught in the Church. And by no less than the second president and prophet of the Church. I could stop here, firm in the assurance I had ably proven my point that the Adam God Doctrine was taught for an extended period of time during the last half of the 19th century, and that a systematic effort to cover up that fact has been perpetrated by the LDS Church. And I would stop here. Except it goes so much deeper. In fact, the smoke-screen continues right up to the recent Priesthood/Relief Society manual on the teachings of Brigham Young, produced by the LDS Church for the learning and edification of its members. But it seems there are some things about the teachings of Brigham Young the LDS Church does not want its members to learn. And if you have gotten this far, five will get you ten you know exactly what they are. In the interests of time, I will restrict myself to two examples. 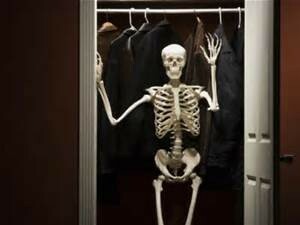 Time for the skeletonic constitutional is growing short, and our decomposed comrade has to be getting back into the closet pretty soon. What Does the New Manual Say Brigham Young Taught About Adam? Adam. God was once known on the earth among his children … as we know one another. Adam was as conversant with his Father who placed him upon this earth as we are conversant with our earthly parents. The Father frequently came to visit his son Adam, and talked and walked with him; and the children of Adam were more or less acquainted with him, and the things that pertain to God and to heaven were as familiar among mankind in the first ages of their existence on the earth, as … our gardens are to our wives and children, or as the road to the Western Ocean is to the experienced traveler [see Moses 3:15–21; 4:14–30; 5:4–5, 9, 12; 6:51] (DBY, 104). It was a gutsy move on the part of the editors to include this quote, because it is difficult to find anything from Brigham Young on the subject of Adam without at least some reference to the Adam God Doctrine close at hand. And this quote, as it turns out, is no different. You will note I have bolded the word “him” in the above quote from the manual. That is because the word “him” does not occur in the original address by Brigham Young. Trust in me, just in me. In fact, the word “him” is put there to replace an entire clause. And the deleted clause implicates the Adam God Doctrine. Adam was as conversant with his Father who placed him upon this earth as we are conversant with our earthly parents. The Father frequently came to visit his son Adam, and talked and walked with him; and the children of Adam were more or less acquainted with [their Grandfather, and their children were more or less acquainted with their Great-Grandfather;] and the things that pertain to God and to heaven were as familiar among mankind, in the first ages of their existence on the earth, as these mountains are to our mountain boys, as our gardens are to our wives and children, or as the road to the Western Ocean is to the experienced traveler. Why was this phrase deleted? Because it necessarily implicates the Adam God Doctrine. How so? It will be recalled that Brigham Young taught God was the father (both body and spirit) of Adam, and that Adam then became father (both body and spirit) of all those who live on the earth. It is obvious this phrase had to go. By deleting this phrase, Brigham Young could be made to appear as if he taught current correlated doctrine regarding God and Adam. Widtsoe used the Journal of Discourses sermon as his source, but edited out the offending phrase leaving no trace of his skullduggery. As I mentioned, one of the primary purposes for the new collection of Brigham Young’s teachings appears to have been scrubbing the record of any Adam God material. But to Widtsoe’s credit, at least he scrupulously provided citations to the Journal of Discourses from which he obtained the quotation. And that was volume 9, page 148. This allowed anyone sufficiently curious (and with access to the Journal of Discourses) to go back and check his work. And discover the deletion. But this doctored quote came to have a life of its own. Why? Because it became valuable as an apparent instance of Brigham Young’s teaching the current doctrine of Adam’s relation to God. As such, it made a guest appearance in Joseph Fielding Smith’s “Answers to Gospel Questions,” volume 5, (1966). There, Joseph Fielding Smith responded to a question regarding whether Brigham Young taught the Adam God Doctrine, and how that could be when it is plainly in contradiction to what Joseph Fielding Smith taught on the subject. Joseph Fielding Smith attempted to provide an alternate explanation to what Brigham Young said in his 1852 discourse, then rapidly segued into another argument. The other argument was that Brigham Young could not possibly have believed the Adam God Doctrine because, in other instances, he plainly taught the current orthodox teaching. Guess what quote from Brigham Young is first used by Joseph Fielding Smith to establish his proposition? So here we have the strange spectacle of Joseph Fielding Smith using a quote from Brigham Young that originally taught the Adam God Doctrine as proof that Brigham Young never taught the Adam God Doctrine. Of course, the critics would never think of referring to this. And it is this same doctored quote that makes its way into the recent Church manual. Now it is true that the manual cites to DBY (“Discourses of Brigham Young”) for the quote, and it is true that the quote was already doctored when it appeared in DBY. But am I really expected to believe that the historians that compiled the Brigham Young quotes for the manual didn’t know everything about it I have revealed here? I mean, I am no historian and it took me less than half an hour to track down. No, I feel confident the Adam God cover-up proceeds apace to the present day. One more example from the manual should cement the case. Our Father in Heaven begat all the spirits that ever were, or ever will be, upon this earth [see Hebrews 12:9]; and they were born spirits in the eternal world. Then the Lord by his power and wisdom organized the mortal tabernacle of man. We were made first spiritual, and afterwards temporal (DBY, 24). Nothing unusual here. All standard current LDS doctrine. But there’s a catch. And it is almost too incredible to believe. In an act of unmitigated hutzpah, the Church carved this quote out of the very middle of the most famous pronouncement Brigham Young ever gave of the Adam God Doctrine. It is from the 1852 sermon where Brigham Young first proclaimed the doctrine publicly. But this is remarkable. In an attempt to demonstrate Brigham Young’s orthodoxy, the manual lifts this one snippet from the most famous Adam God discourse on record. And the manual makes no mention of the fact that, when Brigham Young says that “our Father in Heaven begat all the spirits that ever were” upon this earth, he is talking about Adam! 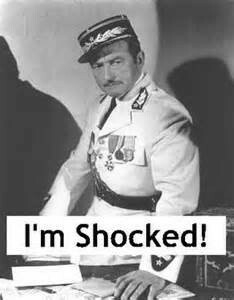 I am shocked! Shocked that anyone would think there is a cover-up going on here! Damnation, Damnation, Who’s Got the Damnation? This causes quite the conundrum. This is no light matter for Mormons. Getting this Adam God thing right is infinitely important. Nothing less than our eternal salvation or damnation hangs in the balance. The contradiction could not be more stark. Little wonder, then, that the LDS Church has decided not just to maintain radio silence on the issue, but to do its level-headed best to expunge the Adam God skeleton from current correlated materials. 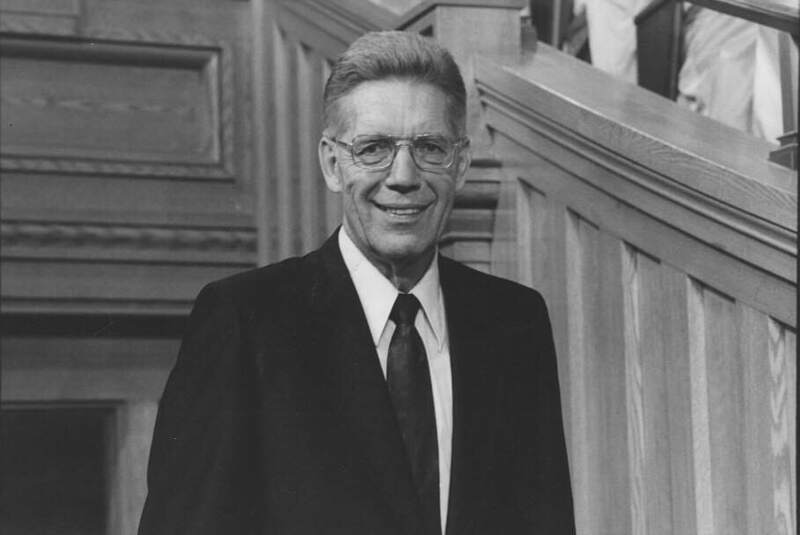 Did Bruce R. McConkie throw Joseph Fielding Smith Under the Bus? And yet, in his letter to Eugene England (again on page 6), Bruce R. McConkie reveals the following regarding the sentiments of his father-in-law. I think you can give me credit for having a knowledge of the quotations from Brigham Young relative to Adam, and of knowing what he taught under the subject that has become known as the Adam God Theory. President Joseph Fielding Smith said that Brigham Young will have to make his own explanations on the points there involved. This admission raises an interesting question–Why would Joseph Fielding Smith think Brigham Young would have to make his own explanations about the Adam God Doctrine if, as Joseph Fielding Smith maintained in “Answers to Gospel Questions,” Brigham Young never taught the Adam God Doctrine in the first place? It appears Bruce R. McConkie was not alone in publicly proclaiming one thing while privately saying another on this issue. And that Elder McConkie may have inadvertently given his father-in-law a slight nudge from the top of a long flight of stairs. Well, I fear we have worn out our welcome with the Church History department. Security has been alerted to our presence, two beefy and glaring guards are walking this way, and our calcified friend must be put back into the closet before things get out of hand. I hope he has enjoyed his brief bout of freedom, though. In this short span, we have learned that our grisly chum was not always relegated to the closet. He was once clothed with flesh and sinew the same as you and I. And for a period of some fifty-years, he strutted and fretted his hour upon the Mormon stage, and then was heard no more. The story of his sequestration and subsequent cover-up is now a tale told by an idiot, full of sound and fury, signifying . . . something? [i] This quote from President Kimball resurfaces in 2003, when BYU Professor Robert L. Millet is writing a review of John Krakauer’s book, “Under the Banner of Heaven.” Krakauer let slip the fact Brigham Young taught about Adam God, and Robert L. Millet wanted to put the cat back in the bag, or the skeleton back in the closet. In order to do so, Millet does not engage the argument. He does not discuss the facts. Instead, he minimizes the importance of the teaching and then simply quotes President Kimball’s 1976 repudiation as the final word on the subject. Probably safer that way, all told. [ii] The bolded phrase was softened to “has no excuse whatever for being led astray by it” in the transcript. [iii] Although this passage is lengthy, it is worth being able to see the carved-out quote in context, which I will bold below. The parts dealing with the Adam God Doctrine are underlined. Now hear it, O inhabitants of the earth, Jew and Gentile, Saint and sinner! When our father Adam came into the garden of Eden, he came into it with a celestial body, and brought Eve, one of his wives, with him. He helped to make and organize this world. He is Michael, the Archangel, the Ancient of Days! about whom holy men have written and spoken—He is our Father and our God, and the only God with whom we have to do. Every man upon the earth, professing Christians or non-professing, must hear it, and will know it sooner or later. They came here, organized the raw material, and arranged in their order the herbs of the field, the trees, the apple, the peach, the plum, the pear, and every other fruit that is desirable and good for man; the seed was brought from another sphere, and planted in this earth. The thistle, the thorn, the brier, and the obnoxious weed did not appear until after the earth was cursed. When Adam and Eve had eaten of the forbidden fruit, their bodies became mortal from its effects, and therefore their offspring were mortal. When the Virgin Mary conceived the child Jesus, the Father had begotten him in his own likeness. He was not begotten by the Holy Ghost. And who is the Father? He is the first of the human family; and when he took a tabernacle, it was begotten by his Father in heaven, after the same manner as the tabernacles of Cain, Abel, and the rest of the sons and daughters of Adam and Eve; from the fruits of the earth, the first earthly tabernacles were originated by the Father, and so on in succession. I could tell you much more about this; but were I to tell you the whole truth, blasphemy would be nothing to it, in the estimation of the superstitious and overrighteous of mankind. However, I have told you the truth as far as I have gone. I have heard men preach upon the divinity of Christ, and exhaust all the wisdom they possessed. All Scripturalists, and approved theologians who were considered exemplary for piety and education, have undertaken to expound on this subject, in every age of the Christian era; and after they have done all, they are obliged to conclude by exclaiming “great is the mystery of godliness,” and tell nothing. Corbin Volluz lives in the beautiful foothills of the Cascade Mountains in western Washington state. He has been practicing law for 25-years with a focus on criminal defense and personal injury. Corbin joined the LDS Church in June of 1978, shortly after the lifting of the priesthood ban, and has been studying Mormonism ever since. He has been published in several venues, including the Journal of Book of Mormon Studies and BYU-Studies. Great write-up! I thoroughly enjoyed this article. I think the only way the church gets away with this kind of stuff vis-a-vis the general membership is that most of the general membership don’t care to dig more than one or two shovelfuls below the surface. My wife commented last night that the Church needs a “reporter”–somebody who can ask questions of the General Authorities and get answers. I think, though, that Church leaders have effectively walled themselves off from any meaningful questioning by members. I think there may be a reason for that . . . Thanks for this article Corbin! Great work. I’ll tell you the reason if you don’t know… because our ways are not God’s ways. Those who do not have ears to hear will not hear. No man can tempt the Lord God. All truth is revealed to man through the spirit, period. If any man wishes to know absolute truth, even all things in heaven he shall know through faith which opens the Windows. The brother of Jared saw the Lord’s finger because of his faith; have you? The boy Joseph saw God the Father and his son Jesus Christ;have you? No man may question another save he shares a different witness with his own eyes or through the spirit of truth. Do not tell another man with your questions, go seek the Lord for council using your faith. I know God, and he knows me. God uses me as a repented man daily to do his work because I am willing. Are you willing to know all truth for the purpose of building up the kingdom of God on earth or do you have another purpose to attempt to create skeletons that never exist? Only Satan can tempt or try to confuse,and no man shall condemn anyone to hell or heaven save it be the Lord our God during time times of judgement. I didn’t create the skeletons. But I do know where the bodies are buried. David, it sounds like you are trying to confuse the issue. All this article does is point out a very clear history, that the doctrine was taught, then covered up and denied. That couldn’t be less confusing. 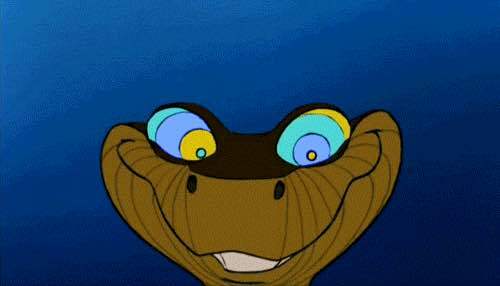 If anyone tried to confuse anything, it is church leaders who hem and haw around the issues, who publicly deny, then privately acknowledge. It always amazes me when someone points out clear contradictions in the church that leaders have avoided or created, and a member comes along and accuses the messenger of being deceitful. Take a look at the facts and consider again where the deceit is coming from. David will have to say whether he was being sarcastic, but in any case it would surely work as a fine example of parody! What’s the point of this post? What do you wish to see happen as a result of it? 1: People are flawed, including and especially the leadership and membership of the LDS church. This gives me some hope; if Joseph Smith, as flawed a man as he was, was able to see God and commune with angels, there’s some real hope that I might obtain salvation myself. 2: We are all personally responsible for what we choose to believe, even if it comes from the mouths of general authorities. If God speaks from the mouth of a general authority, we had better be prepared to recognize it. Instead, many of us have taken a more lax approach to recognizing truth: if it comes from the stands in the conference center, it must be true. This is a grotesque stretch of doctrine that makes me cringe every time I hear it. Just as it was with gaining a testimony of the Book of Mormon, it is important to also pray, fast, and study to gain a testimony of the principles taught in general conference. That’s the only way to recognize when God is speaking in every case. Great article! But I still dont understand why, when “the prophet” Brigham taught Adam-God as doctrine it didn’t last. I mean with all the crazy things Mormons will believe if the prophet says so, why not this? Brigham was not weak in his ability to get others to see things as he did. I’ve always been surprised by this. I think it had a lot to do with the fact Orson Pratt stood up and publicly challenged the truthfulness of this teaching. That took a lot of guts, and almost cost him his position in the Quorum of the Twelve, if not his membership in the LDS Church. As it turned out, the LDS Church discarded Brigham’s teachings in favor of Orson’s. Excellent blog post. Are mormons able to abide prophets who can err on the very nature of God? It seems that the current leaders have decided that the answer to that question is no. To me it’s interesting that there is no gospel topics essay about Adam God. This issue is popular to bring up by Evangelical Christian critics, but I’m not aware of it really being much of a stumbling block for too many members. We’ve never relied much on Brigham for doctrine, and waive away a lof of his teachings as folksy, weird frontier talk. So maybe the church doesn’t think they would gain much by coming clean on the issue, and would have to concede a great deal of ground if they did. I think you are right that Adam God does not come up as a criticism of the LDS Church nowadays as much as it did a generation ago when I was baptized. Back then, it seemed you couldn’t turn around without running into it. The reason for this may be because the Church seems to have other criticisms on the front burner, such as Joseph Smith and polygamy, the Book of Abraham, etc. It also may be a testament to how adroitly the LDS Church has been at keeping knowledge of Adam God from its members . . .
That’s interesting. The issue seems like it should have a lot of traction, since it really seems to call into question prophetic reliability. But the focus now seems to be more about moral/fairness issues (blacks and the priesthood, polygamy, homosexuality, female ordination) and factual issues (historicity of Book of Mormon and Book of Abraham and First Vision) and less about doctrinal issues (Adam God, Are Mormons Christian, etc.). It may be as you say, Joel. I think that all these issues call into question prophetic infallibility. But with Adam God, it seems indisputable that Brigham Young taught something very different from what is currently taught. And the fact there has been a well-orchestrated cover-up lends credence to the idea that the LDS Church is fully aware of just how different Brigham Young’s teachings were. And how problematic the issue remains. How about the fact that the Church is ran by imperfect people yet Christ the Lord is living and patient and doesn’t dwell on our mistakes allowing Satan to get the best of you. Perhaps, dwelling on the sin or talking about skeletons is exactly what Satan wants us to do questioning the brethren? It’s no different than Satan attempting to remind you of your sins that you have repented of. I suggest we drop it, even remove the article entirely for your sins be quite as snow when you sincerely repent. I’ll remember no more sayeth the Lord! Remember…absolute truth is knowing all things in this world and in heaven. Once you know those things there are no further questions;it’s a matter of living as God lives.If any person has questions let him ask the Father in faith; I have and because of my faith I can confirm all things that our Father in Heaven has revealed unto his prophets. Are you actually suggesting it would be a good thing to remove this article in order to prevent Satan from having us question the brethren? Because that sure looks like what you are saying . . . Through my entire life, I’ve been told that the Lord will never allow a prophet to lead the Church astray. The Lord would take him from the earth before He’d allow the prophet to teach things that weren’t true. This was put forward by Wilford Woodruff about the time that the Church had to give up polygamy. You can’t use the reasoning that the leaders are imperfect without affirming that they will sometimes mislead the members, whether intentionally or unintentionally. I think you have hit the nail squarely on the head, Trent! "…We believe that He will yet reveal many great and important things pertaining to the Kingdom of God." A. of F. 9. It is fascinating to think that Brigham Young MAY have been so muddled in his thinking about Adam and the God Head. We certainly know a great deal about the resurrection that Alma did not know. 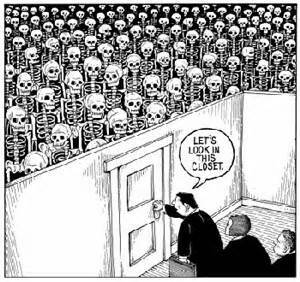 It would be a sad irony if anyone confused the strength of continuing revelation and ever increasing light with some kind of skeleton in the closet of LDS history. Why should continuing revelation equate with whitewashing the past? It is sad to discover more and more the depth and breadth of the irresponsible, childish and amateur behavior constantly and consistently within the highest hierarchies of the church. Couple that with the insistence on following the prophet and you have the makings of a perfect storm. I personally think the edits and “forgetting history” came as a reaction to fundamentist polygamists, most whom still hold to the Adam God Dictrine. I think a number of the quotes above bear you out in this, Mike. For instance, Elder McConkie is clear that he thinks this doctrine is used to “obtain converts to cultism,” and that those who believe it are prepared to enter polygamous unions that will destroy their souls. I do not think it had to be this way; i.e., the connection between the Adam God Doctrine and polygamy. Both were publicly advocated by Brigham Young and both were undone by subsequent Church leaders, so they share that similarity. On the other hand, the LDS Church seems to have mismanaged the situation in trying to cover-up Brigham Young’s teaching of the Adam God Doctrine. Here is why I think this. If a polygamist Mormon comes to an LDS Mormon and attempts to convert them to polygamy, it is an obvious tool to say that not only has the LDS Church diverged from the “truth” by discontinuing polygamy, but they have also diverged in no longer teaching Adam God. How much stronger does this tool become when the polygamist Mormon can show that not only has the LDS Church diverged from teaching Adam God, but they have also actively attempted to cover it up? Hence, by the attempt to cover-up the Adam God Doctrine, it could be argued that the LDS Church has played right into the hands of the fundamentalist LDS groups. Clearly there was a cover-up, but what isn’t addressed here is the question of whether Adam-God is a true doctrine or not. It seems to me that this doctrine was either one whopper of a false doctrine, or it was actually a plain and precious truth that eventually got lost because the people were no longer willing to believe it. I’ve not yet been able to decide one way or the other how I think. Speaking for myself, I have long ago given up the question of trying to establish whether the Adam God Doctrine is “true” in a metaphysical sense. There is simply no way of determining such a question in an objective manner. What I believe I can establish, however, is that Brigham Young taught it, subsequent Church leaders ceased teaching it, and then actively sought to cover-up the fact that Brigham Young taught it. I think this is beautiful. It’s amazing how easily we can dig up what the church denies, which could be why they don’t want us to dig. is truth so fragile it can’t withstand an honest look? Bill, that he MAY have been? So despite the evidence you think that’s at question, or do you somehow think he saw it clearly and we cannot? Either way, he taught it, members believed it and today we try to pretend it doesn’t exist-somewhere in there are serious issues That need more than “faith” to answer. But it wasn’t that easy to dig all this stuff up, I want you to know. You are correct, Neal, although it was Orson Pratt (not Orson Hyde) with whom Brigham Young had the very public disagreement. Orson Pratt was on the verge of getting himself excommunicated by President Young over his strident and vocal objections to the Adam God Doctrine. As it turned out, Orson Pratt eventually toned it down, but lost his senior position in the Quorum of Twelve when Brigham Young readjusted seniority shortly before he died. If memory serves, Orson Pratt would have been the next Church President after Brigham Young, but because Young reorganized the Quorum, John Taylor succeeded instead. I believe that seniority had originally been based on age, but Brigham Young redid it so that it was based on longest period of uninterrupted membership in the Q12. I’m sure Orson Pratt’s public opposition to Brigham Young had nothing to do with it, though. At least Orson Pratt ended up losing the battle but winning the war in regards to what ended up becoming the established, correlated version of Mormon Doctrine. Gary Bergera’s “Conflict in the Quorum” covers this episode in detail. By the way, you aren’t THE Brian Clark, are you? By easy, I meant compared to what usually is needed to explain a conspiracy (kennedy, moon hoax, and so on) without half the fruit you have Found. I also find it straightforward to comprehend without advance degrees and mental gymnastics the way some apologist seem to insist are needed (Ala the Van Allens findings). Admitting leaders make mistakes both with doctrine and policy goes a long way to preserve many testamonies. Very well done! I do hope you know I was kidding with you about the “easy” part. But thank you for the kind words. I agree that the truth is usually straightforward and relatively easy to comprehend without appeal to advanced degrees or special insider knowledge. Could you explain further? Current doctrine says Adam is the father and patriarch of the human race, so couldn’t we get away with saying “grandfather” now? This is, of course, a reflection of the current teaching that all human beings (Adam and Jesus included) were spirits sons and daughters begotten by God in the premortal existence. In the physical paradigm, however, there is only one being who is ever referred to as God’s son in a temporal sense, and that is Jesus Christ. This is so because it is taught that Jesus is God’s “Only Begotten Son” in that he is the only person ever “begotten” of God in the flesh. I think that explains why the omitted phrase from the BY manual did necessarily implicate the Adam God Doctrine, and I appreciate your giving me an opportunity to flesh out a thought I had abbreviated in the original post due to space limitations. I’m all kinds of confused about Brigham’s use of Great-Grandfather. As I understand Adam-God, Elohim (Adam’s father) will be considered Great-Grandfather only as each of us (earth’s inhabitants, sons & daughters of Adam) become Gods over our own planets/inhabitants. Only *those* persons could call Adam ‘grandfather’ and Elohim ‘great-grandfather’. But Brigham speaks in past tense, as if Adam’s earthly children and subsequent generations start calling Elohim Great-Grandfather right away: “the children of Adam were more or less acquainted with their Grandfather, and their children were more or less acquainted with their Great-Grandfather.” Doesn’t that imply that Elohim (Adam’s original father) is something like Great-great-great (infinity) grandfather to us now? Does Brigham clarify this in other Adam-God sermons, or is Brigham simply speaking in a timeless, past/present/future together, all is now, clear-as-mud sense? I think I see what you mean, JennyK, and yes, I basically agree with you. 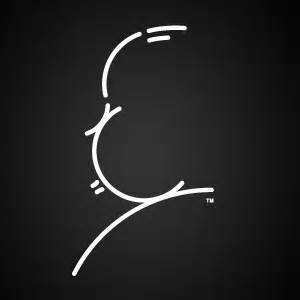 I think that Brigham Young was trying to emphasize the literalness of the fatherhood of Elohim to Adam; that in the same way as Elohim was Adam’s father, so was Elohim the grandfather of Adam’s children, and the great grandfather of Adam’s grandchildren. Thanks Corbin. I suppose the great-grandfather remark was a mistake on Brigham’s part, then. Seems everything else from the doctrine/theory teaches that each of us (earth’s inhabitants) should call Elohim “Grandfather” – but if the whole theory is false it’s futile to dissect a mistake within a mistake [but for a moment I had the thrill of imagining a new & exciting rabbit hole to tunnel. 🙂 ] And thanks for clarifying Adam-God further on Bill Reel’s recent podcast. I could never quite explain the doctrine, but now I think, “Oh, it’s the belief that Adam was Christ’s father” – of course it’s much more than that, but that’s an alarming point for me. I was a missionary decades ago when I was first confronted with the concept of Brigham teaching the Adam/God theory. I trusted quotes by Joseph Fielding Smith and Bruce McConkie to defend the church from the evangelicals who were spouting “lies” against poor brother Brigham and the church. How sad I was to learn that the evangelicals were the honest ones and I had been duped by my prophets. In a strange twist, Church leaders saw the best way to protect your faith in them was to spin, prevaricate and cover-up the truth. Only by keeping the truth from you could they protect your faith in them. Predictably, however, when you discovered the truth, your faith in them was harmed. This is why I feel the Church should never have ventured down this road in the first place, and why it is I feel they should cease continuing to do so. We trust the people who tell us the hard truths. It is time for the LDS Church to attempt to regain the faith of its members. How can you suggest such a thing? If truth is inimical to faith, then it is faith that must go, not truth! Faith is the disease and truth is the cure — demonstrable, testable, reliably repeatable truth. Faith is what produces the mindset we see above in this thread, suggesting the removal of your article and insisting we must “just trust in the Brethren”. It is precisely this attitude that made a cover-up seem like a good idea in the first place. Faith is the key requirement for charlatans to thrive. And Elder Packer’s infamously Machiavellian quote dividing truths into “useful” and “not useful” varieties is just the sort of tool tailor-made for the practice of charlatanry. When one’s faith is not consonant with the truth, it must be serving untruth. Faith is only valid when it agrees with the truth: “…if ye have faith ye hope for things which are not seen, *which are true*.” [Alma 33:21, emphasis mine]. Truth is greater than faith. Faith depends on truth. So why trust in faith at all? Why not just build directly on the solid foundation of demonstrable, testable, verifiable truth? Personally I think there’s a place for “faith” in our lives. Like I know that Jesus is our Redeemer. I wasn’t there during the atonement and crucifixion. But I have faith in Jesus Christ. Maybe I’m being too simplistic but I think that faith can stand with truth. My problem is and was having faith in human beings. Not anymore! I also relied on the lies told by McConkie, Kimball, etc, and didn’t believe the “anti-Mormon lies” about the churchs’ past. Then I dicovered the Journal of Discourses and what could go wrong by reading the original words of the prophets and apostles during the 19th century? This sounds a lot like me, too. These are men whom we sustain as apostles and prophets of the Living God. Of course we are going to believe them when they tell us things. We are expected to believe them. We are encouraged to believe them. We may be disciplined if we do not believe them. And when we find out they were not always worthy of our trust, there is often a seismic shift in the foundation of our faith. This is not our fault, though it seems the Church is frequently anxious to blame the victim. It is the equivalent of setting out a booby-trap which detonates on being picked up, and then blaming the victim for picking it up. Great article, Corbin. I always really enjoy the comments as well. Although this is a subject that I’m not really familiar with, I am one of those who has had my faith greatly tested through other issues like this After so many years of being taught to ‘follow the prophet-he will not lead you astray’ and then to see previous prophets thrown under the bus by current prophets, I’m just kind of done!. Seems to me truth is truth no matter the time frame. I really appreciate much in the Mormon culture; the emphasis on family, the word of wisdom as a good health law, morality,, etc. What I’m just kind of disgusted with is all the doctrinal, & historical fallacies that are coming to light now. I will never put my faith in the arm of man again. It’ll just be me and the Lord. Thanks for your blog I always really enjoy what you have to say. Thanks for the kind words, KJC! Sometimes members don’t understand that the warning against trusting in the arm of the flesh includes the Church leaders. All of whom are made of flesh. And LDS Church leaders certainly qualify as the elite. I think there is a warning about even the very elite being led astray in the last days, as well. There may be a reason the LDS Hymn, “O, Say What is Truth?” has a question mark in the title. I have to wonder why the LDS church is so mental (see pathological liars ) when it would be so much healthier for the body of the church to be fed truths and not lies. Its obvious the Church doesn’t identify it as continuing revelation. If it did, it wouldn’t hide the tall and wide body of evidence: what’s been shown beyond dispute in this blog. Q: What does that say? A: They don’t want members to find this out — The church FUNDAMENTALLY changes. A: There is no revelation. Just good ideas and policies. Or, bad ideas and policies. (We must remember “THE CHURCH DOES NOT APOLOGIZE!”) as per Elder Oaks. Now, now, remember children: Church leaders say The Church does not change! Doctrine does not change! The fundamental understanding of God does not change! Hence the midnight shovels. Too bad they left fingerprints all over the mess they’ve made. I think you make a good point here. It does seem strange to call this “continuing revelation” when it looks more like a continuing cover-up. Although the Church frequently talks about “continuing revelation,” it also couches it in terms that mean a later revelation cannot, indeed must not, conflict with an earlier revelation. Here, it is the earlier revelation that conflicts with later revelation, though I am not sure the order is as important as the conflict itself. Because the Church has determined that revelations must not conflict, Brigham Young’s teachings regarding Adam God must be expunged from the record. And that is why the LDS Church appears to have made every effort to do just that. Thanks for the timely piece Brother Volluz. Is it our responsibility to forgive Brother Brigham and the church for this debacle? My answer is yes. Even if they haven’t repented? Yes. Remember, we can’t be forgiven unless we are willing to forgive others. Does that mean we should forget about the whole thing? No. Why? Because this situation is still causing confusion and harm.Thanks again Bro. Volluz for shedding some light. Thanks for your comments, Deacon Blues. I will leave forgiveness and judgment to others more qualified, and content myself with documenting the cover-up itself. Though it should probably be said that Brigham Young has little to “repent of,” at least in this regard. All he did was advance as doctrine a novel idea regarding the identity of Heavenly Father as Adam. It was subsequent Church leaders who tried to cover it up. 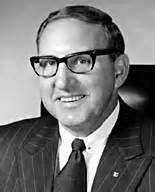 As Nixon found out, it is the cover-up that gets you into more trouble than the original issue. It is by revelation that we know the atonement can make your history as white and delightsome as driven snow. And especially white and delightsome is Church history from 1847 to 1978. So who was Eloheim according to Brigham? Having quoted Elder Holland I still am greatful for the dramatic way this information was presented because I found it amusing. I understand that white washing was seen as a quick fix with little risk in a time prior to the internet (the same is true of many organizations as well as secular history) and probably little was thought of the consequences beyond that the corrected teaching would be adopted. I myself have tried to whitewash my mistakes and later paid for them. That’s why I’m a sinner as much as a saint. It is the same with the church. Our leaders need our prayers and support so they aren’t tempted to take the easy way out as we all have at times. I can’t expect perfect behavior of church leaders especially considering them collectively. Still I see the need as time progresses to reach a higher standard than past times. I deal with weaknesses without hyperventilating but yes perhaps a new church essay will come of this out of full disclosure. Thanks for the frankness anyways. I appreciate your comments, Trent. And frankly, I appreciate your comments more than those of Elder Holland that you quote. I would have more appreciation for Elder Holland’s words if he would actually attempt to deal with the issues themselves rather than relegate them to meaningless generalizations devoid of context or content. Very interesting post! I’d like to see “Corbin Volluz Presents” become a regular feature. Cue the music for “Funeral March of a Marionette”! I was so hoping that you’d bring up Hymn #51 in our Hymnbook. And of course the capitalization of pronouns reserved for deity were all demoted to lower-case. 1- If still interpreted as an Adam-God hymn, it is the only hymn (other than “O My Father”) which sings about Heavenly Mother. Also, it’s not just the punchline of one verse; Eve/HM gets the entire 3rd verse. Sad that having one verse in one hymn is a feminist victory in the church, but it is what it is. 2- The author of the hymn later left the church, joined Godbe in founding the Godbeites, and started the newspaper which later became the Salt Lake Tribune. These are awesome and great points you raise, Geoff! But I guess that last part applies only to the members and not necessarily to the leadership. Corbin, another home run article, I just love your writing style. My big question is this, are we moving closer to labeling Brigham Young as a “false prophet”? Look at Adam God, Priesthood ban, Blood Atonement, Mountain Meadows, changes to the temple ceremonies, polygamy excesses, and there are probably many others. What distinctive theological innovations from Brigham remain intact? I can’t think of any. It seems like we’re readily willing to throw poor Brigham under the bus on just about every front. Has he become our scapegoat? Makes me a little sad, I kind of like some of Brigham’s contributions, but it seems like most of the distinctive theological ones are being discarded. In every point that Brigham Young disputed doctrine with Orson Pratt, Brigham Young won the short battle and Orson Pratt won the long war. This goes from their views on Adam to whether God is progressing in knowledge (Brigham said yes–Orson said no). 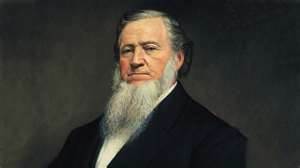 The problem for the Church is that, due to the way they have essentially defined prophets as essentially doctrinally infallible, they cannot come out and say Brigham young was a false prophet; or that he was false on any essential doctrinal position. The system has every prophet from Joseph Smith stacked one on top of the other. If any one of the prophets is taken out of the stack, all subsequent prophets tumble as well. And that is the real problem. Ha, Jenga is fun!  I see what you’re saying and I believe there are many who see this as a dilemma, but I have hope that we can navigate these waters. The recent church essay on the Priesthood ban is one of the strongest cases for rejecting past teachings, and I love the direction Uchtdorf is taking us with the ongoing restoration position he articulated. When church leaders and members open their eyes to the complexities of history, and the speculative nature of church doctrines then we start seeing progress. What we claim to know by way of revelation is very messy. Scriptures aren’t infallible, and neither are leaders. We can still believe in a God, and believe that we are all capable of inspiration, but we also need to acknowledge just how difficult discernment is, and that we frequently get things wrong. Our perceived certainty is anything but certain. I agree with everything you say here . . . except the part about Jenga being fun. I think the problem from the Church’s perspective is that the likely trajectory of the principles you outline inevitably eases the Church’s control over the members and may even go so far as to make the Church unnecessary to salvation. This, I believe, was the fundamental reason for the editing of Elder Poelman’s 1984 General Conference talk. He sounded too much like you. I think, Trent, that giving leaders the same measure of leniency and support as you would like for yourself is not as great an idea as you think it might be. That’s why they are the leaders and you are not. It isn’t required of you to lead millions with truth and righteousness. They don’t deserve that much leniency. I hear what you are saying, Jennifer. From my point of view, I would be happy if the Church gave us the same degree of honesty it expects from its members. That shouldn’t be asking too much . . .
What, exactly, would you like to see members do about the deceit you see (and regularly report on) at the highest levels of the Church? Leave the Church? A letter-writing campaign to Salt Lake by as many members as possible (the more the better) calling out the First Presidency and Quorum of the Twelve for all the lies and cover-ups (from Joseph Smith on, apparently), as well as for not being progressive today on issues they should be progressive on? What should members be demanding of their leaders in recompense for all the deceit you see? Do you want members to petition Salt Lake to publically declare Brigham Young a false prophet? Not that this would happen — but is it what members should agitate for anyway? Or do you think internet sites and blogs are sufficient to send a message to the intractable General Authorities? It’s clear what you want the Church leaders to do — how do you propose to bring about the changes you want? Let’s hear it. Is simply telling the truth too much to ask? Exactly! They expect that (the truth) from us, so much so that they can withhold your attendance to your child or grand child’s temple wedding! Are you saying that telling the truth is less important than not drinking coffee, etc? (I don’t drink the stuff, by the way, so I’m not trying to make excuses). It’s amazing, (where I live, the dominant religion is LDS) that the leadership there is more interested in sexual sin, word of wisdom issues, etc., but doesn’t give a flying fig if you’re dishonest in your dealings with your fellow man! Southeast Idaho is a cess pool of corruption. And most of the corrupt folks are members in “good” standing. It’s disgusting! So I don’t see anything wrong with expecting the same (honesty-useful or not) from the “brethren” who obviously enjoy the adoration of millions! It’s not too much to ask for truth and honesty from an organization that proclaims to teach truth. How do we actually get changes, and the truth from the general authorities? Good question. They seem so completely removed and inaccessible to the general populace of the church, and are very good at playing the political game of ‘plausible deniability” with pretty much any subject of controversy. Tim Bone: What’s the point of this post? What do you wish to see happen as a result of it? The point of this post is to tell the truth. Something the LDS Church appears to have difficulty with. Am I wrong to assume you think all your suggestions are silly? Because they seem perfectly in order to me. Tell us what you think is so wrong with that? It is what the leaders do to its members when they’ve publicly sinned, or apostasized, after all. I suspect “Tim Bone” is an agent of the Strengthening Church Members Committee sent to entice me into crossing the line from protected expression of opinion to excommunicable rallying for change. Or he could just be a dweeb. They are still at this sort of thing but these days they are a little more careful about it. Might as well add the “a good saint would have already known all of the so-called issues and been fine with them” strategy to the list. 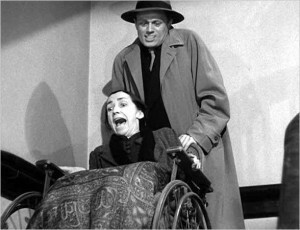 This sort of thing is going on right now… in our day. I absolutely agree with you, Fred. The honest thing to do would be to bring these issues up before the general membership in Conference. Not waving them away as undefined and unexplained “half-truths” or “untruths” as has commonly been the case up to the present, as you point out. But actually bringing the issues out into the open and showing us members how the leadership deals with these issues in such a way as to remain active. I see this as the only way out of the pit the Church has dug itself into. Yes, I suppose those are the only two options. If change is to come, how is it to come about? If enough members do…what? Or will it come in some other way? If history holds any answers to your question, the only way change will come is for Mormons to find out the Church is not being straight with them. The reason for the release of the recent Church essays on lds.org, dutifully buried three-clicks deep, is because the number of Mormons finding out about these issues had reached critical mass, and the Church was dragged kicking and screaming into the Information Age. In other words, the Church began telling more of the truth because so many of its members had found out the truth on their own. And they had found it out in spite of the Church’s best attempts to prevent them from finding it out. But like a kid caught with his hand in the cookie jar, the Church is willing only to tell the amount of truth it thinks has already been discovered, and parcels it out in dribs and drabs without making full disclosure. This is something less than I would expect from a church that proclaims itself as the only TRUE and living Church. My humble post is just one small attempt to help Mormons understand the truth that the Mormon Church still tries to keep from them. I’m the fly in the ointment, Hans. Jennifer, I appreciate your response. The question, “What will it take to get Church leaders to change their tune on prior deceptions and abuses, and on contemporary equality issues?” is not an illegitimate one for those who are keen on seeing these changes. Corbin’s response was to call me names (I’m neither, by the way), although he later provided a clear answer that I thanked him for. You, on the other hand, saw the logic of where I was going – if you want the changes you describe, wouldn’t the activities I suggested be appropriate? If so, why then not advocate them? Wouldn’t they square with your position? So, no, I wasn’t being flip or sarcastic. You hit the mark, hence, this response to you. So, Jennifer, you seem to be someone who might chuck a rock at something and, believe it or not, I appreciate the fire. You and I are likely on different sides of the fence here. I probably will find little traction on this website, but I may chime in from time to time. Keep the fire. Think things out. (What’s your gut tell you about the Church – is Jesus Christ still behind it or is the Church a train wreck? Will you be totally dumbfounded to learn in the next world that Joseph Smith was a faithful prophet, that it all wasn’t made up?) Be well. Is it speaking evil of the lords anointed to point out a lie? To point out a cover up? To point out a contradiction that came from them? I would say no, it isn’t speaking evil. It’s seeking truth, which we also made covenants to do. If we are covenant to go along with whatever the will of our leadership is even when they are wrong, no matter how tightly we hug those chains, we are slaves rather than servants. And we could find ourselves at a place called Mountain Meadows committing unspeakable atrocities. This is a clear answer and I appreciate it. Thank you. Tim, thank you for the response. I’m glad to hear you meant what you said. Am I a rock thrower? I don’t know that I’ve asked that of myself before now. My husband would maybe say yes! He says he won’t argue or debate with me because he can’t think as quickly on his feet as I can. But if I do throw rocks, it’s because I am pissed off about something that I feel strongly about. And yes, the church has greatly pissed me off. While I wasn’t born until you were likely beginning your third year at Stanford, I have begun to develop an evolving view on many things, war being one of them. Particularly the Vietnam War. Raised a Republican, I can remember watching Reagan’s reelection on TV and cheering wildly in a room by myself! But I’m beginning to think outside of blind patriotism and stop accepting explanations just because they were told me by someone in a position of authority. I will listen to your recommendation, “A Bright Shining Light” with an open mind. I’ve already found it and downloaded it to my account. I’ll have to dig some more for the other. As for what you said regarding Hugh Nibley, those taunting him seem ignorant. Yes, you can find them everywhere and I agree in part with what you stated. I don’t abide by mine anymore because I think they are of no real use to me. But I’ve also not come to that position easily. Close to a 10 year full on struggle. So for those who believe, I would hope their integrity binds them to those covenants but for me, I felt they were made between myself and the church, but not god. As for the next life, I think we will all be dumbfounded regardless of whether the church is true or not! Don’t you think? Because if it is, it will be beyond all expectations. And I feel confident that God will see into my heart and know I WAS being honest and true to my convictions. And if it isn’t, well then… dot dot dot. Thanks again for the reply and reading suggestions! Tim Bone: I will not go to my Savior having held up His Church for public contempt and ridicule. Thanks for your considered response, Tim. But here is where you lose me. Does not Mormonism teach that Jesus is the God of the Old Testament responsible for giving the law to Moses and initiating the Jewish religion? And does not the New Testament tell us that Jesus held up leaders of the Jewish religion “for public contempt and ridicule”? So why should you be concerned about going to the Savior after “having held up His Church for public contempt and ridicule”? Are you a disciple of Jesus or aren’t you? I should think the answer obvious. (1)Jesus condemned the leaders of the Judaism of his day because they were in an apostate condition. If the Church today were in an apostate condition then condemning it might be the way to go. If it is not in an apostate condition, then holding it up for condemnation is the wrong way to go and is not what a disciple of Jesus should do. I do not think the Church is in an apostate condition; you apparently do. You see holding the Church up for contempt as comparable to holding apostate Judaism up for contempt. That only works if the Church today is in the same state before God that apostate NT Judaism was. I don’t believe it is. If I hold up the leaders for public contempt, but Jesus does not or would not do the same, then I am not following him, am I? (2) As you point out, Jesus established Judaism and gave it the law. I did not establish the Restored Church or give it the law. It is not my perogative to condemn it. As God, Jesus can do what he wants and He always gets it right. He’s omniscient; I’m not. For instance, He knows all the particulars about His interaction with Joseph Smith concerning polygamy; I don’t. He called the men who have been (and the one who is now) the President of the Church, as well as His Special Witnesses. I didn’t. If he wants to upbraid them here or in the hereafter it’s His privilege. It’s not mine. Your number two is really fascinating. How bad would His Special Witnesses have to behave before you would say something? How does God’s omniscience make a fallible man beyond reproach? It doesn’t make him above God’s reproach; it makes him above mine. I trust the Lord to keep His Church going where He wants it to go with the fallible leaders He has. He’s been doing it since 1830 and, as far as I’m concerned, successfully. If I felt a reproach was necessary, I would make it to him directly or maybe to the Church. And Apostles have been excommunicated before, and without a public write-in campaign. At this point, I will simply copy and paste a series of statements I have collected over the years. And again from Elder Ballard: “President Brigham Young commonly employed “the Old Ship Zion” as a metaphor for The Church of Jesus Christ of Latter-day Saints. He said on one occasion: ‘We are in the midst of the ocean. A storm comes on, and, as sailors say, she labors very hard. ‘I am not going to stay here,’ says one; ‘I don’t believe this is the “Ship Zion.’’ ‘But we are in the midst of the ocean.’ ‘I don’t care, I am not going to stay here.’ Off goes the coat, and he jumps overboard. Will he not be drowned? Yes. So with those who leave this Church. It is the ‘Old Ship Zion,’ let us stay in it . . . Let us stick to the old ship and she will carry us [safely] into the harbor; you need not be concerned.’ And finally, President Young reminded the Saints: ‘We are on the old ship Zion. … [God] is at the helm and will stay there. … All is right, sing Hallelujah, for the Lord is here. He dictates, guides and directs. If the people will have implicit confidence in their God, never forsake their covenants nor their God, He will guide us right.’ ” (Quoted by M. Russell Ballard, Oct 2014). Clearly, there are many that take issue with any or all of the above. That is their privilege. Is the Church being led as the Lord wants it led? I say Yes, others say No. There it is. If they think that shouting to the world, “This Church stinks” or “This man is out of the way” is going to get them plaudits in the next world, they can have at it. Tim Bone: < If the Church today were in an apostate condition then condemning it might be the way to go. I get where you’re coming from Tim. My question is what would the LDS Church look like if it WERE in an apostate condition? Would it look like a completely different church than the one established by Joseph Smith? Would it have prophets not called of God but by relations, connections and longevity? Would it have prophets who do not prophesy? Would it have seers who do not see? Would it have revelators who do not reveal? Would it look more like a corporation than a religion? Tim Bone: I trust the Lord to keep His Church going where He wants it to go with the fallible leaders He has. He’s been doing it since 1830 and, as far as I’m concerned, successfully. Do you feel banning black men from the priesthood and black women from the temple for over a century to be the Lord successfully keeping His Church where He wants it to go? Tim Bone: Clearly, there are many that take issue with any or all of the above. That is their privilege. Is the Church being led as the Lord wants it led? I say Yes, others say No. There it is. If they think that shouting to the world, “This Church stinks” or “This man is out of the way” is going to get them plaudits in the next world, they can have at it. How about if they just point out where Church leaders aren’t being honest with the members and ask them to change their ways? Tim, your logic boggles me. You really see nothing wrong with the Church’s attempt to cover up its own history? As a historian, I find this extremely troubling. Only societies with something to hide rewrite their histories. What is it we fear? The only two things I can imagine are thus: a bad public image and increasing numbers of members who leave. I would hope we would be courageous enough to weather through the first and that our leaders would trust in our testimonies enough in regards to the latter. And we shall know the truth, and the truth shall set us free. What I feel the LDS Church is afraid of at bottom is that members will find out that previous prophets have taught things doctrinally different from current prophets on fundamental religious issues. The LDS Church has painted itself into a corner with its de facto doctrine of prophetic doctrinal infallibility. Going with infallibility is always a bad choice, because it will always lead to exactly these types of problems. One of them must be wrong, which calls the entire infallible system into question. Instead, what I see is the LDS Church doubling-down on the infallibility quotient, repeating over and over again in public venues like General Conference that we must follow the prophet, remember which way we face, and never question those in priesthood authority over us. My take is that this will ultimately lead to the disaffection of more members than if the LDS Church were simply honest. And that it is in fact currently leading to such disaffection, in spite of the claims of Elder Cook. Reading this had made winfer what my dad actually knows. In discussing the honesty of leaders, past and present, I have mentioned adam god a few times. a few times my dad has said “oh I KNOW about Adam god” but left it at that. having grown up in the age of the Internet (I’m in my early 30s) I assumed he meant about that we hadabandoned it, but I just realized he could have been implying he “knew” it was all a bunch of lies,and still believes as such. No we my mind Is really blown…. Maybe you could tell your Dad about this blog and see if he agrees or disagrees. I would love it if you could return and report. This is the Lord’s Church and it will succeed and get to where the Lord wants it to go. For some reason, the Holy Ghost has upheld and continues to uphold the missionary efforts of the Church, testifying of the truthfulness of the Gospel restored through Joseph Smith, leading those receiving the testimony to be baptized into a Church which, in your telling, has been misled by false and lying leaders for over a century. Converts are baptized only to learn that they now are now obligated to condemn their leaders. Makes you wonder. Seems out of whack, to say the least, for the church that is the sole custodian of valid baptisms on the planet Earth. As for the Mountain Meadows Massacre, a bunch of people made very bad decisions that led to murder. Brigham Young sent a message to let the emigrants leave in peace, but it arrived too late. (When Isaac Haight got it, he burst into tears. “Too late,” he cried, “too late.) The perpetrators will one day stand before God. I don’t think it will go well for them. The victims need to be recompensed by justice as well, and God will see to it. And yet at the very same time as the massacre, the Holy Ghost was testifying to souls around the world that the message brought to them by the missionaries was a true one. So what I am not going to do is hold today’s church hostage over the Mountain Meadows Massacre. It’s in God’s hands. I’m fairly confident he will do the right thing. As for the Priesthood and the blacks, what we have here falls under “assuming a fact not in evidence”. The assumption is that God wanted all males to have the priesthood during this period but just couldn’t get through to a long line of uninspired leaders. How do you know it was God’s will that the Priesthood be extended during this time? You don’t. You just assume it. You assume it because of your idea of how social justice ought to be operating and what God’s timetable ought to be. Yet for 1,200 years, only males from the tribe of Levi could hold the Priesthood – what’s up with this gross discrimination? A lot of men left out. The Church expands in stages in the wisdom of Him who knows all things. When the time came, the Holy Ghost confirmed (in a dramatic way, according to those who left accounts) that the time had come for extending the Priesthood. Perhaps the Holy Ghost at that time also berated those present as losers and liars, just as their forebears had been, the lot of them a keen disappointment to the God who had, after all, called all of them to those positions. But I doubt it. And poor God, for over a 150 years, in your telling, calling prophet after prophet and apostle after apostle who weren’t up to snuff. All these Saints heading for eternal life over the past century while their prophets and apostles are spiritual rejects. Makes you wonder. And no back-up plan, either. Where’s the “correct” restored church, the one that also has all the Priesthood keys and sealing power, the one building temples, the one with true prophets and apostles, the one where everything is done right, and to your satisfaction? The Church of Jesus Christ of Latter-day Saints is the Lord’s church. It’s in his hands and I sustain the leaders He has called and upholds. I have hope for the whole imperfect lot of us, leaders and rank-and-file, who remain faithful to the covenants we made and who remain aboard the Old Ship Zion, which will dock one day at that Blissful Port. I’ve said what I wanted to say and I thank you for the opportunity. There is little reason for this back-and-forth to continue on and on, as we all have seen happening on many blogs and websites. This post and my prior ones state my position in as lucid a manner as I could state it. Like you, I cast my bread upon the waters. We’ll see what develops. Thank you for so lucidly and eloquently stating your position, Tim. The problem for me is that we have different prophets teaching different things about the identity of Heavenly Father. We have Brigham Young teaching that Adam is Heavenly Father. We have later prophets teaching that Adam is NOT Heavenly Father, but merely one of Heavenly Father’s children. There are only two possibilities I can see for either of these–either the prophets in question spoke under inspiration of God or they did not. Either option raises its own problems. Inspiration–If both prophets spoke under inspiration, we have a God who inspires different prophets to say radically contradictory thing about His own nature. The LDS Church has tried to get away from this by saying that the living prophet trumps dead prophets. But that will only get us so far with this example. I mean, are we to believe that Adam was our Heavenly Father from 1852 to 1877 while Brigham Young taught it, but that some time after that, Adam stopped being our Heavenly Father? No Inspiration–The other option is that one or both prophets in question did not speak under inspiration. As I said, this raises its own set of problems. If one or more prophets of the LDS Church have put forward their own doctrinal ideas about the nature of God without inspiration from God, what other doctrinal ideas might they have done the same thing with? I.e., How can we know what doctrinal statements from prophets are inspired, and which are their own ideas? And so it all boils down to the question of whether the prophets were inspired in these teachings or not. Thanks everyone for the honest and heart-felt discussion.Forgive me if I am out of line to add this “coda”. May I suggest that the focus on prophets is misplaced. Tim Bone speaks of a plan and/or a back-up plan. Is it possible that we all need to get back to the Foundation of “The Plan”? Jesus the Messiah IS the Gospel; The Good News. God loves us. I don’t understand all that prophets, priests, popes, pundits, evangelists or churches may try to add to that message. But, I am convinced, with Paul, that nothing can separate us from the Love of God. (Romans 8:38-9.) Believe in God’s Son. Trust that all truth is God’s Truth. Let’s forgive, so we might be forgiven. I think there is wisdom in what you say, Deacon Blues. It has become customary to define true prophets and false prophets by the truth of the doctrine they preach. Maybe it is more correct to define a true prophet as one with special insight or access to the divine who seeks to shepherd others into the same insight or access, or even a greater insight or access. Jesus seems to have done this, and this may explain his cryptic statement that those who believe in him shall do greater works than he has done. I think Joseph Smith did this, too. On the other hand, maybe a false prophet is better understood as one who claims special insight or access to the divine who stands as a roadblock or mediator between his followers and the divine. I much enjoyed your article, Corbin. Your article and the comments following it have all revolved around an extremely fundamental issue which exerts tremendous gravitational pull on us all: What to do about the accumulated mass of false doctrine in LDS theology? Or more specifically, how can we gracefully address, let alone abrogate, the enormous body of teachings and practices which are flatly contradicted by the Bible and Book of Mormon? Our entire practice of vicarious work for the dead and eternal/celestial marriage is in direct conflict with unequivocably clear Book of Mormon and biblical teachings, for example. It even contradicts D&C 137. The whole idea that we lived in a preexistence as spirits finds it sole corroboration in the discredited Book of Abraham (though the fact that certain unidentified angels lived with God before this life is in the BoM and Bible). The LDS general authorities who are aware of these facts (and there are precious few of them, if any) thus face this question: "If we conclude that Joseph Smith and Brigham Young added much false doctrine to the simple gospel of the Bible and Book of Mormon, and we admit it, and strip all this post-1830 theology from our doctrine, though our teachings will once again become simple, pure, and explainable, won't we be rejected for having led the church astray for the last 180 years?" This question forces an appraisal of just how valuable truth is. I agree with you that in a church bearing Christ's name, we ought to allow truth to trump the question of "What will become of us?". Eventually, it would gain us even more converts than we'd lose. I think you get to the heart of an important question, Brother Brothers. And that question is what is “truth” and what role do scriptures and/or prophets play in leading us to it? I believe “truth” is not a constant; nor is it one thing and one thing only. I believe that one person’s truth may differ from another person’s truth. I know that my own truth of 20-years ago is different from my truth today. Do my perceptions influence the reality around me? I believe they may to some extent, but that ultimately that question may be irrelevant. The only way I “know” what is around me is through my perceptions, and so my “truth” must pass through that filter. I can obtain it in no other way. Such is the human condition. I believe the problem with limiting truth to one interpretation of the scriptures, or to one specific prophet is that, in the end, it does just that–it limits truth. My quest for the truth is best when it seeks not to limit the possibilities, but to expand them. And so I like to look for truth in the scriptures, in Joseph Smith and in Brigham Young. And in Aeschylus, and in Buddhism, and in Shakespeare. I think truth can and often does contradict itself. I think Joseph Smith may have been trying to explain this in D&C 88 when he taught that all truth is independent in that sphere in which God has placed it. Can truth in one sphere contradict truth in another sphere? Out of the frying pan . . . ? 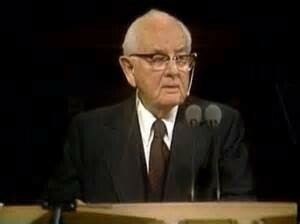 In semi-agreement with Corbin, I also ask the Church to give the same degree of honesty it expects from its members. From my point of view however what is realistically expected of members is imperfection. To be lenient is to be more merciful or tolerant than expected. I guess then that this is all relative to what our expectations are. My expectations are that we will be guided by people that are, in general, not any better than myself and that each will be on varying levels on the spectrum of integrity and spiritual progress. My expectations are that we learn from the past. When we see error we should have the valor to stand against it and not tolerate it which is expressed in the snappiness and humor of this article. I understand you interpreting my comment as giving leniency to our leaders, but I would say instead, give forgiveness. Based on the fact that our leaders lead millions, perhaps “they don’t deserve that much leniency” but forgiveness is given without regards to deserving it. I simply and respectfully disagree with the notions/terms of deserving and leniency. Prophets and apostles are people too and none of us are deserving of anything but hell. If members believe that their leaders are chosen by God to lead us, it should be because a leader first chose to follow God, not because they have arrived at a state of near perfection or because they have studied out every gospel question. When we put this incorrect understanding and false image of infallibility upon the men who hold the office of a prophet/apostle, we risk creating false idols of them, or worse, we risk our faith crumbling when we see their human side contradicting our illusions of them. At one point I held an illusion of this sort myself, and although in the back of my mind I obviously knew they were men, I elevated them to impossible standards and realized later that my faith was not built (entirely) upon the foundation that I thought it was. My faith was too much in men, the arm of flesh, and not enough in Christ, the sure foundation. Even after those adjustments my faith and foundation still needs improving. Many times our leaders err, and in cases shown here, they make bad decisions that I’m sure they do or will regret, though many are dead now. We see our leaders at times as children see their parents, we rebel when we see their flaws, we think we can do it better and we call them out on it. Good for us (and a sincere “good luck” to the rising generation). Then we have our own children to point out our flaws and we become more grateful for their legacy even if imperfect. Like parents that have upheld their duties, they may not be perfect but deserve our honor nevertheless. There isn’t a parent in the world without regrets regarding the souls they were responsible to care for and lead. I don’t think we are being lenient of our parents, we expect them to account for their actions at some point, however, we are able to be forgiving of them. In my opinion this is scalable even to millions of souls led by modern leaders. I am glad for error in my leaders that show their human side and their need for their Savior all that much more. As Gal. 2:21 teaches, if man had the capacity to obey the law of justice perfectly, there would be no need for a Savior. Regardless of the person or position, we should look for the good in everyone and learn from the bad. We should not go looking for contradictions, missteps, or faults in our parents or leaders just for the sake of it (that doesn’t mean we ignore those that are readily apparent, as mentioned I am glad this article was written) but we should turn our focus to the work God is doing and what message God is trying to send us through them. I appreciate your sentiments regarding our forgiving Church leaders, Trent. One must admit, however, that is made somewhat more difficult by the fact they refuse to apologize. I wouldn’t be too sure about that. It’s certainly in *my* current LDS teaching. You, Jack, are obviously a heretic. One important detail to the origin story is that some thread of Adam-God started with Joseph Smith. Brigham claimed that he learned Adam-God from Joseph on several occasions though there is little evidence indicating what Joseph originally taught. Brigham also asserted that Joseph was under strict command to not share it with anyone. I should clarify that I’m a believing member of the church, and I’m not advocating Adam-God. I am arguing that the genesis of the doctrine began with Joseph Smith in some form or other and that we should not feel obligated to pin it solely on Brigham. I realize that the original post is not meant to condemn Brigham, but there was a comment or two along those lines. I hope that someday continuing revelation addresses this issue and its mysterious beginning. "The thrust of his position was that if Adam is God, and Adam had numerous sons (such as Cain, Abel and Seth), how could Jesus be considered God’s only begotten son?" Mark Peterson, are you serious? The theology is that Jesus was the only begotten of ELOHIM, that's what makes that phrase make sense… Otherwise, if we go by the church's current, correlated concept, we're all (every human) children of Elohim. That's precisely Young's point with the Adam-God doctrine: it's Jesus only who is the offspring of a higher level. Everyone else would be the offspring of Adam. You did a good job on an old subject. It is somewhat amazing that to this day the church has never publically been honest about this particular issue. I believe that is because there are two issues here: 1. information about God given by an ordained Prophet of the church and 2. can the ordained Prophet of the church be seriously wrong in his repeated teachings? Number 2 is the real problem. If the church is honest about the historical facts of this, then that undermines their own claim that God will never allow the church Prophet to make serious mistakes. I realize you also have recognized this perfect storm. If President Young was completely wrong with his Adam-God teachings (and for that matter also about his Seed of Cain teachings) then those that claim their authority down from President Young can also be wrong in their teachings. In fact, they can be wrong about him being wrong. My own searching in the early 80s as a LDS returned missionary led me to accept the Second Book of Commandments. This is a book of revelations from 1961 to the present similar to the D&C. Revelations in this book reconciled the Adam-God doctrine with other LDS scriptures. Based on the 2BC, President Young was basically correct, but was in error about one particular matter. As the 2BC shows, the Adam-God doctrine is simply a further understanding of the New Testament doctrine of become Joint-heirs with Christ. I just now found this site because I was researching the Adam -God theory. This was one of the best write ups on this subject! I am excited to read your past posts and very glad I found this site. I personally believe that Brigham Young did not make himself clear, or….because we did not live during his time and never heard him speak on this subject and other subjects, the members during his time understood what he was saying, they knew his terminology. Who ever recorded his sermons heard what stood out to them and some important information was left out. Today two people can take notes during any type of lecture and their notes will be different. We all hear differently, write down what stands out to us as important. This is why history is not accurate nor complete. I believe that what BY taught was correct. I also believe he did not clarify his words or meaning. I do that myself on occasion. It bothers me what the leaders have said about this, and have distanced the members from it and discouraged members from even researching it. I believe it is important doctrine. I think you would be very interested in reading what a non LDS person said about Adam God. This person has, on occasion, defended LDS and LDS Scripture interpretation on anti Mormon sites. If I remember correctly he is Atheist, but he knows and understands the Scriptures very well. After I read his take on Adam God it finally made sense to me, and I knew it was a truth BY taught. The post is titled…..Thoughts about Adam-God. Date is March 10, 2012. Thank you, again, for writing this! I am just now seeing this article for the first time. Not sure how I missed it a year ago. I toyed with writing a blogpost very much like this several years ago. I have a different writing style than you, and wouldn’t have been quite as scathing in my prose. But putting that issue to one side, this piece is very well done. An excellent, factually-accurate analysis of the issue. Frankly, I’m a bit jealous that I didn’t write it. You don’t know me, but my wife and I have followed your career in Seattle recently with great interest We are both big fans of yours! I appreciate your kind words. I wouldn’t have come back to this site to check for new comments except for a person I didn’t know emailed me about seeing a link on a friend’s FB to this article. Nice to meet you. And thanks. FYI, my mother lives in Oak Harbor, so I’m sometimes known to drive through Mt. Vernon. Shall we do lunch sometime? It would be not only a pleasure, but an honor, I assure you. You forgot the best part. Brigham does punch back and McConkie’s damnation for belief rhetoric. In his same AG speech Volume 1 page 50 – 51 Brigham gives his own warning to future dumbasses like Bruce. You are right about this. Brigham Young got the drop on Bruce R. McConkie by damning to hell those who didn’t believe Adam-God over a hundred years before Elder McConkie damned to hell those who did. My question is kinda academic since I’m no longer an LDS church member anymore (1972-2015) but here it is anyway: what was the motivation for back pedaling from the Adam God theory in the first place? And the JD has been out of print for many many years so I’m also wondering where you obtained your copy. Has it been digitized? Your question regarding the why of the back-pedaling from the Adam-God Theory is a good one. I can think of a possibility. At the beginning of the 20th century, and as a result of the Reed Smoot Hearings, the LDS Church was taking steps to appear less radical and more centrist–to be more a part of the fabric of the United States than they had been perceived to be. In short, to look less like a cult and more like a Christian religion (from the point of view of outsiders). As part of that, the Church jettisoned the practice of plural marriage with the Second Manifesto in 1904. The Adam-God Theory was also gradually phased out at about this time. At the beginning of the 20th century, there were questions raised as to whether the missionaries should be teaching this to non-members; and whether it should be taught in the classes of the Church. In response, if I recall, the Church admitted that Brigham Young did say “some things” in regards to Adam, but it was considered best to not talk about those things anymore, and to just stick with the Father, Son and Holy Ghost without trying to identify any of them with Adam. It was only a number of decades after this that Church leaders began to come out and deny that Brigham Young had ever taught such a thing. So I see it as a process where the Adam-God Theory was gradually phased out over time as a response to pressures felt within the Church to make their religion more compatible with the mainstream. Corbin any chance you want to come on and turn this into a podcast episode? Yes. I was wondering why I haven’t seen much from you in the last year? I love your writing style and the topics you choose to write about. Am I doing something wrong that I can’t find you? I’m kinda new at this blog stuff so I’m not sure I’m looking in the right place. Than you. I took a sabbatical from blogging last September. But I hope to start again sometime soon. Well, glad to hear that you had some time off. I’m sure this gets very intense and time-consuming. Glad to know that it wasn’t me that couldn’t find you. You were just not there to be found! Makes me feel better about my IT skills. Take care and enjoy your time off. Looking forward to your return to the blogosphere. Corbin, I have missed your well-researched blog posts — you have no idea how you have helped me and my family. I will look forward to hearing from you, whatever the venue! Thank you so much for the kind words, Anne! Mr. Corbin, thanks for the great post! I had never heard of this, but I don’t have the Journal of Discourses. This is a great read with lots of great information! I’m excited to pass this post on to others that can have level-headed discussions about the ‘questionable’ content in the LDS history! Thanks for the kind words, Luke. I have to admit I am pretty excited this post from April of last year has obtained a new lease on life! While I believe the motives behind this post were likely well intentioned I can’t help but be just a little skeptical. Firstly, your blatant snark throughout the piece actually discounts a lot of your journalistic integrity. If this was just a timeline of events that would be one thing. Instead it’s a smattering of references from all over the place that seem to fit your narrative. It feels more like you went into this with the notion that it was a cover-up and sought to prove that rather than actually find out what objectively happened. I also don’t think we understand the way in which the Lord ushers his Church forward. Whether every word spoken by a Prophet is from God, or even just most of it, there is a reason we have a quorum and not just a Prophet. The book of Mormon wasn’t translated by one word at a time, it was translated by the feelings and interpretation of Joseph Smith. There were corrections made. Improvements made from church leadership. All to move the will of the Lord forward. I would not be so quick to land on malicious intent when it comes to issues like this. And honestly I think this is just one more thing that completely misses the mark on why the gospel is important. I appreciate your drive to understand the truth, I just think you lack perspective on the matter. Thanks for your comments, Scott. If you have additional information countering my main thesis that the LDS Church has, and continues to, actively seek to cover-up the fact that Brigham Young taught the Adam-God Doctrine, please feel free to share. Then please tell me why I was told for 50 years that the book was translated from the plates? No seer stone around. And why were there pictures all over the world in books and wardhouses, etc., of Joseph Smith translating directly from the plates? And that it was he most correct book of scripture we have at this time?
. A rose by any other name! Corbin, let me first say that, of all who post on this site, i often find your pieces to be the most thought-provoking and substantial. Thank you for sharing your insights. So i read this article with utter fascination, and then all the comments, which are unusually many. Where it leaves me— what i don’t really get— is, once people see how the fundamental doctrines of Mormonism have changed, how the prophets (should i put that in quotes?) have contradicted each other and ‘thrown each other under the bus’, as you put it— why do people stay in the church? Tim Bone, above, seems to give the most articulate answer— essentially, ‘Because i made a promise to do so, and i’m sticking to it’. And i understand about family connections and all. Too, i suspect that, especially in a still rather culturally isolated place like Utah, it’s hard to find (much less to trust) any alternatives. And the effect of LDS repurposing of all the standard theological terms of Western civilization, like ‘Jesus’, ‘God’, ‘atonement’, ‘salvation’ and so forth, is to render them rather opaque in their native contexts— but this is a subject we’d have to talk about elsewhere. My only point is that it’s hard to climb out of some boxes without a good deal of effort— to leave Mormonism for Christianity is a much longer journey than leaving the Methodist Church to become a Catholic. But still. To someone who is actually concerned about Truth (and i imagine some of your readers must be)— how is it even possible to continue subscribing to, and even promoting, not only an organization, but a teaching that is so obviously flawed, self-contradictory, and made up? Mormon community has many strengths— people are encouraged to be honest and upstanding, helpful, kind, and so forth. And all of that is so good. But then there’s this worm in apple that makes it indigestible! I think the LDS Church has painted itself into a theological corner by claiming to have living prophets at the head of the Church today, and also claiming they have had an unbroken succession of prophets leading the Church since the days of Joseph Smith. Once you make that claim, it becomes problematic when one or more of those prophets contradicts another. This is what has led to the claim that living prophets trump dead prophets. You don’t need that rule unless your living prophet is contradicting a dead prophet on some issue or other. I kind of suspect Adam-God was a primary mover in the creation of this rule . . .
i read this after you were on the MDP. am I the only one who doesn’t really care if the Adam-God thing was taught. Also has any of the current leaders of the church commented on this subject, I know the church is starting to become more open with its past? do you still trust the leaders now? and can I ask how you have worked this issue into still being a member of the church? can’t it just be that Bro Young just got it wrong and wasn’t speaking as The Prophet but just the man? as all know that man isn’t perfect? Thanks for your questions, Gary. Yes, Brigham Young certainly could have just gotten it wrong and been speaking as a man when he taught Adam-God. The problem is that it leaves it completely up in the air as to how Mormons are supposed to determine when a prophet is actually speaking as a prophet. Was Brigham Young the president of the Church? Yes. Did he teach this in General Conference? Yes. Did he claim he received it by revelation? Yes. Did he include it in the temple ceremony? Yes. When you can check off each and every one of these boxes, how on earth are Latter-day Saints supposed to determine whether what any Church president says is true, and how are they to go about doing it? The current teaching of the Church appears to be that we just wait around and if what is now taught should change, then it was wrong to begin with. But that throws everything currently taught into a state of suspended truthfulness. Hey Corbin, really appreciate your sharing this research. I’m really happy to have been able to learn of these facts and see it lined out in such an organized manner. This has not ill-effected neither my nor my children’s testimonies. As a matter of fact, this has quite the opposite effect. We all know of Peter’s flaws. There is no reason that Bro. McConkie and other modern leaders are less than perfect. Brother Brigham taught the truth. This is a powerful and soul expanding teaching. This concept of Adam-God has corroborated a LOT of truths I have learned over the decades and has only served to strengthen my testimony in the Church. Brother Joseph told the brethren that if were to reveal the things that he knew to them that they’d have risen up and killed him! There is MUCH to learn. The Church of Jesus Christ of Latter-day Saints is a PREPARATORY church. Even within it, there is the Church of the Firstborn. WE DON’T HAVE IT ALL YET GUYS!!!!!!!! We need to be open minded, there is MORE TRUTH to come. 2/3 of the Book of Mormon has yet to be revealed! What are we going to do with our testimonies when the vaults of eternity are opened to us and we suddenly see ALL kinds of things that we never supposed we’d agree with? The sadness that I feel is that they have felt the need to do and act how they’ve acted WITHOUT actually telling us WHY. That’s what we’re missing. Even the Lord told Nephi to lie (and D&C tells you when it is OK to lie) and kill (murder is actually the commandment, not killing). The brethren’s only problem so far is that they have not been clear in the intentions and that is what I wish they would tell us about. Clearly we MUST believe in Brother Brigham’s teaching in this matter because, yes, our salvation is at stake. I’m just glad Bro. McConkie was reprimanded and had to explain that his 7 Heresies talk was his OWN view and not doctrine. He made a mistake, and he obviously felt he did it for a good reason. Perhaps panic with so many anti freaks attacking? Dunno. They’re just men though! GOOD MEN, but JUST MEN who were not acting under the clear authority of inserting canonized scripture. So, at the end of the day, we’ve gotta work out our salvation. We have to keep our testimonies and do good work. That will get us into the Kingdom. We’ve gotta work to make our calling and election made sure and then we can start getting these mysteries revealed to us. Brother Nibley understood this and didn’t let the controversy destroy him or cause him to beat down the brethren, which he probably could have easily done. But yes, thanks so much for writing this! Our family has found it edifying and greatly helpful and has served to further strengthen our testimonies, as odd as some may find that! I am glad you enjoyed the article, beneloah! I agree with you that there is much to learn. But my 40-years in the church has taught me that if I am going to learn anything, it is going to have to be from somebody other than church leaders, who don’t really want me to learn the truth about Mormonism. They have a correlated version of Mormon pabulum that they regurgitate continually, trying by repetition to get the members to think that the white-washed version they present is the truth, the whole truth, and nothing but the truth. I, too, used to look forward to the day when the other 2/3’s of the Book of Mormon plates would be revealed. But I found out that such expectations were in vain. There is no revelation coming out of Salt Lake City; no prophecy; and no seeing. Why should we then expect that translating will suddenly manifest itself? The Church disclosed in a recent Ensign article not only that the Book of Mormon was translated by means of a seer stone, but that same seer stone has been in the possession of the Church continuously. So why has nobody used it as Joseph Smith used it in all the time in between? And if nobody has used it as Joseph Smith used it in all the time in between, on what basis should we expect anybody will use it in the future? The LDS Church used to point at the lack of revelation in other churches as a sign of apostasy. Unfortunately, that claim seems as apropos to the LDS Church in modern times. And if the lack of revelation is a sign of apostasy in other churches, what does it say about the LDS Church now that it manifests no revelation? Such a great read, I remember you sharing with me your early transcript in the barn that Deseret Book said was too much for the common member or something to that effect. Hope you and your lovely bride are well. Miss you guys, but have connected with your daughter through Facebook, who is serving in my old mission in Berlin. You must be very pleased with her. So good to hear from you. I hope you will eventually see this comment. If you liked this blog, you may like the in-depth interview Bill Reel did with me on the subject at Mormon Discussions. Let me see if I can find a link to it for you. And I am so glad to hear from you! I loved listening to the podcast, you haven’t skipped a beat. I read every comment. What are your gospel feelings? I read this all and enjoy each comment, but see this issue and the many the church is facing as testimony crushers and coming between people’s relationship with the gospel and the Savior, not just taking issue with the leaders, who are for sure mere imperfect mortal men and it saddens me. Is your testimony of the gospel as a whole as strong as when I lived in the barn? I sure hope so. The way I see it at present is it is really the LDS Church and its leaders who have come between members and the Savior. They set themselves up as the necessary go-betweens for salvation; teaching that nobody can be saved without the ordinances for which they only hold the keys; and setting themselves up for a light to the world, claiming that they are prophets, seers and revelators. But this is like the story of the emperor’s new clothes. They claim to be prophets, but do not prophesy. They claim to be seers, but do not see. They claim to be revelators, but do not reveal. Each and every General Conference bears witness to this unfortunate fact. They absolutely refuse to teach that the Savior is somebody who can be approached, and whose grace can be accessed, separate and apart from the institution of the LDS Church. In fact, when Elder Ronald E. Poelman of the Seventy gave a talk in October 1984 General Conference that suggested the Church was not ultimately necessary for one’s personal salvation, he was required to rewrite the talk (or it was rewritten for him). They then had Elder Poelman go back into the Tabernacle and re-record his talk as newly written, and then spliced the new and improved version into the video tape of the General Conference proceedings, in order to give the impression that the new talk was really the talk he gave initially. I write about this on another blog, complete with video clips and documentation. This is the kind of thing I object to. It is Orwellian. This is why Elder Oaks famously said that members should not criticize leaders of the church, even if the criticism is true. You can pretty much believe anything you want about Jesus, but to believe anything other than that the leaders are prophets of God with absolute sway over the members, and you will quickly find yourself tossed overboard the Good Ship Zion. So really, for me, it boils down to a search for truth. I want to know the truth of things, and unfortunately find that it is the goal and mission of church leaders to prevent its members from learning the truth. 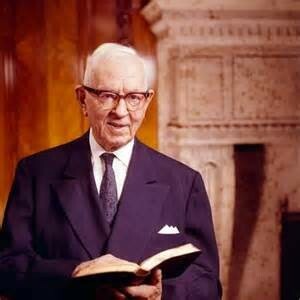 As Elder Packer put it, some truths are not very useful. Anyway, I hope you are well. I would love to be in contact with you in some venue other than a public message board. If you want, you could call my office number at 360-336-0154. Then we could establish contact by email and/or cell phone or whatever. I think there is a problem with looking at this issue to narrowly. The Adam-God teachings are not just the narrow idea that Adam in Genesis has an important Divine role, it is the idea that Gods are generational beings, and that there is a concept of deification in Mormonism, and out of those foundational concepts come a variety of other practices and beliefs, such as the idea that families are eternal, that we must be sealed and do genealogy (back to Adam), that we have temples, continuing revelation, and a plan of salvation. Even the idea of the pre-existence is merely an outgrowth of these teachings called “Adam-God” teachings. Therefore we cannot look at this like it is a narrow or trivial side note to Mormon doctrine. It is in early Mormonism the foundation of all doctrine, and the reason for almost all doctrines and practices in Mormonism even today. As such it isn’t just a skeleton in the closet, it is the elephant in the room every time any LDS doctrine is taught, and forms the historical basis of those doctrines. Elephant in the living room? Needless to say I am a let comer to this discussion that started more than two years ago so please forgive me,but if like to share my thoughts and am open for feedback. Either the Adam-God doctrine is true or it isn’t. Either Brigham young was a liar or he was telling the truth in that he claimed that he learned of the Adam-God doctrine from Joseph Smith. If Brigham Young lied (I don’t see a middle ground) then the teaching can be disregarded. But, if he told the truth in that Joseph DID in fact teach it to Brigham then how can we simply ignore it? It must be considered or we face the potential of rejecting truth and damning ourselves to one degree or another. I know it has become popular in some segments of Mormonism to hold that acknowledging certain faith-based propositions is essential to salvation. In other words, there are certain things we must believe if we are to be saved. Elder McConkie followed the lead of his father-in-law Joseph Fielding Smith in promoting this type of view. But then, Brigham Young said the same. What we are left with, then, is the problem that Brigham Young said you had to believe the Adam-God Doctrine or be damned. Elder McConkie, on the other hand, said that if you DO believe the Adam-God Doctrine, you will be damned. This presents something of a dilemma. My own position is that God is not really that interested in what we believe about certain faith propositions. Certainly Jesus didn’t say much about it in the New Testament. Rather, the thrust of Jesus’s teachings was that it was how we treated others that was important; not what we believed. Thank you for responding. The I agree with you in regards to trusting in Jesus’ teaching. One thing we as mormons tend to be weak on (this is my opinion as a life long believer and participant in the resored Gospel) is the simple testimony of Jesus. I believe it is because we have an understanding of exaltation whereas the majority of Christianity that had been perpetuated since the time if Christ does not seem to consider such matters. They do not believe, to quote Lorenzo Snow, “As man is as good once was and as God is man may become.” They are not concerned with obeying Laws set forth and required by God for exaltation. YET, many countless Christians truly do have the testimony of Jesus and are valiant in that testimony. Those whom are built upon the rock. They repent of their sins and live lives that reflect there faith in Jesus. They do many good works but not because they believe their works will save them but because they wish to follow Jesus and keep his commandments. We mormons, as a result of our understanding of the concept to exhalation and literally becoming like God, are seemingly very susceptible to trying the “save” ourselves by our own good works and by our striving to keep celestial laws in a terrestrial world in the hope of being exalted. But, like the Pharisees and many other cultures we are easily blinded by our pride and have a tendency to miss the mark. We mormons can be so worries about building our own kingdom that we forget that it is His Kingdom that we are to build. But we can’t build His Kingdom if we aren’t truly converted first. We rely on our own righteousness instead of His. Having said all that, and in regards to being damned or saved, many will be saved in the celestial kingdom and at the same time be damned by not rejecting (in this life) laws and truths that are required by God to be believed and lived (In this life). If Joseph understood and taught the Adam-God doctrine to Brigham Young and others then how unfortunate it could potentially be for us if we reject it. Perhaps it is not required for Gods children to believe it to be saved in the traditional sense. But, perhaps it is knowledge that may be required for things greater and beyond salvation. You all provide amazing insight to the topic. I have really gained interest in this topic since reading this blog again. I too, look for truth and there are so many interpretations of history and the truth of events. It becomes a real struggle to find truth as two people seeing or hearing the same event even give different truths. I learned long ago as a high school principal in dealing with conflict of any nature, that truth lies on a segment or spectrum of a line. One end point is one person’s truth. The other end point is the other person’s truth. I nearly always discovered that the actual truth was rarely found on or the other end point, but somewhere on the segment. So here is another take of the Adam God Theory, that I found equally interesting. For your reading pleasure. Hope that makes sense and that I represented this adequately as discussed in the podcast episode. 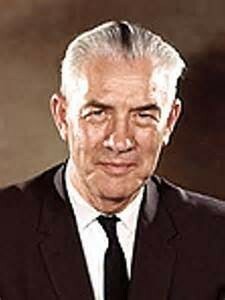 Anyways, could you refer me to this evidence where early church presidents were uncertain as to their official position until things apparently changed when David O. McKay stepped into the role as president? It is to that book I will direct you for documentation of the idea that presidents after Joseph Smith saw themselves primarily as presidents of the LDS Church, and not so much prophets, at least not in the same sense that Joseph Smith was considered a prophet. I think Brigham Young attempted to be a prophet in the same sense as Joseph Smith, but he ran into a lot of push-back and after his death it was deemed wisest to not try to reveal any new doctrine, but to simply systematize and correlate the doctrines previously given by Joseph Smith. This gave rise to the works of James Talmage around 1912 and 1916, specifically, “The Articles of Faith” and “Jesus the Christ” in which the doctrines of the church were largely systematized for the church and have remained so since. But President McKay was more than just an administrator, he had a charisma and a two decade administration that in some way led the church and its officials to refer to him as a prophet and not simply the president. It is at that point and thereafter that there has been a focus in the LDS Church of referring to its presidents as prophets, and extending that more recent development retroactively to include all past presidents. This is the first article I read from you, shared by a family member who’s interested in our salvation. It is very interesting and helpful to learn more about what’s truth and where to find it. Thank you again. Since there is very few alternatives, if there is, to the amount of truth we learn in the church, where do we turn ourselves to learn more and elevate our souls? With the church only giving the basics, if I ever want to know more about the Gospel, the mysteries of God and how to get practical with what Jesus taught (we are supposed to heal, bless and teach around us as He did) I often have the impression that I’ll be alone seeking for more and I know no one who got enough revelations to go past the church’s teachings and help others to have higher insights. Are we damned to search on our own for personal revelations and get what the prophets cannot give ? My family, some friends and myself included. “I advise all to go on to perfection, and search deeper and deeper into the mysteries of Godliness.” Joseph Smith, Discourses of the Prophet Joseph Smith, pg. 364. Looks like Joseph put the burden squarely on the individual in this regard. In reading the first 11 verses of the Book of Moses, it seems clear to me that it is Heavenly Father speaking to Moses. Why do you think Talmage taught otherwise? Why do we still teach this? Was Talmage just trying to avoid talking about Elohim? I think this is a case of the tail wagging the dog. The LDS Church has already decided based on its interpretation of scripture that the Father never talks to mortals, except and unless it is to introduce his Son. Therefore, and here is where the reasoning takes places that is probably in error I think, even though it seems absolutely clear in Moses One that it is the Father speaking to Moses, Mormon Doctrine has already ruled that out as a possibility, and therefore it must be Jesus (or some other deity) speaking in the voice of the Father. It is largely because of the doctrine that the Father doesn’t speak to mortals that the whole “divine investiture of authority” sub-doctrine has been created, I believe. I am not sure that it has anything specifically to do with the Adam-God Theory, though.